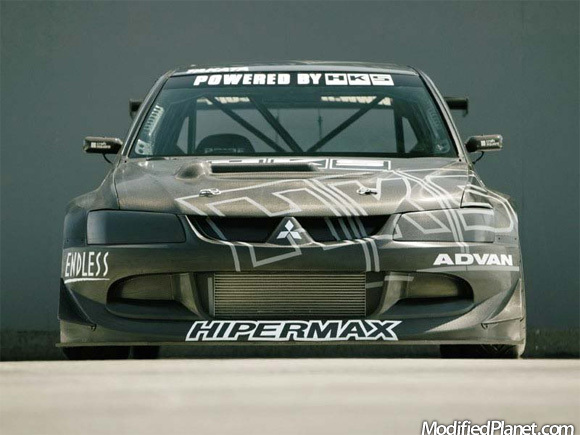 Side car photo of the modified 2003 Mitsubishi Lancer Evo 8 race car built and tuned by HKS. 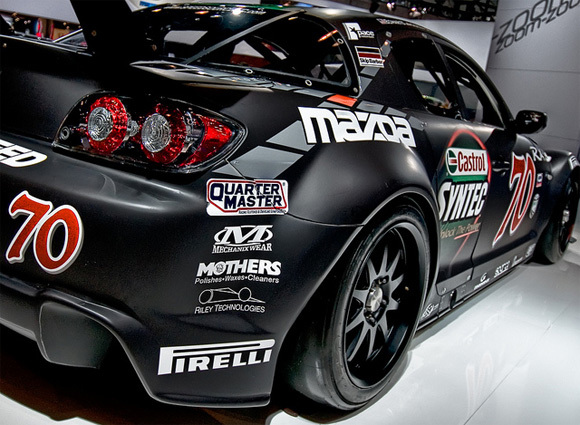 The entire outer shell was constructed out of carbon fiber and the engine was tuned to 552 horsepower. 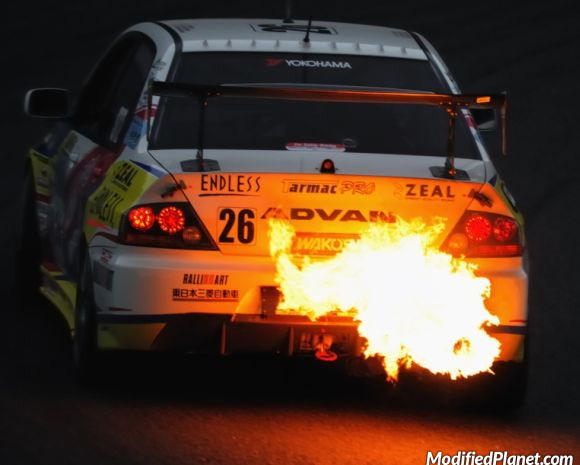 Dubbed the TRB-02 which literally stands for Tsukuba Record Breaker (TRB), this modified 2003 Mitsubishi Lancer Evo 8 race car was built and tuned by HKS. 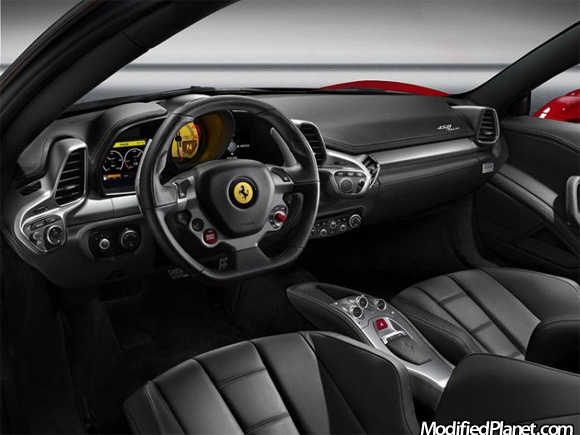 The 4G63 engine was tuned to 552 horsepower and the entire outer shell was constructed out of carbon fiber. 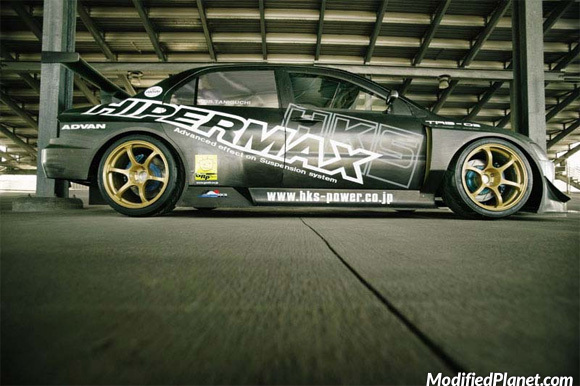 The vehicle was purposely built to break the Tsukuba Circuit fastest tuner-car time which driver Nobuteru Tanaguchi did with a super-lap time of 54.739 seconds. 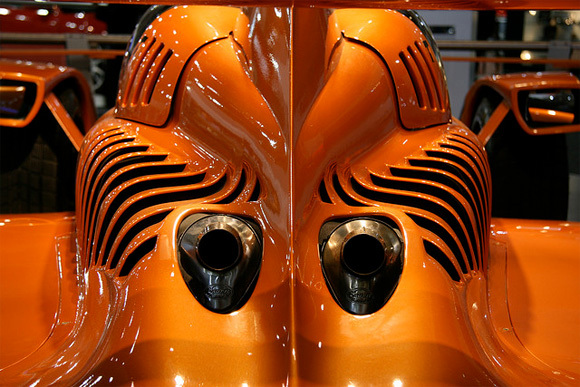 Amazing photo of the Caparo T1 exhaust tail pipes and louvers. 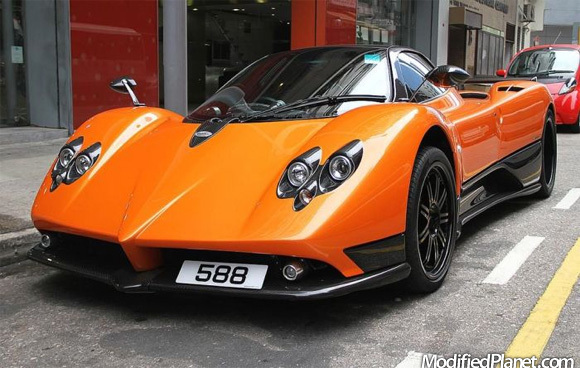 The Caparo T1 is a mid-engine, rear-wheel drive, two-seat Britain built race car that produces 575 horsepower at 10,500 RPM and 310 pound-feet of torque at 9,000 RPM. The Caparo T1 has so much down force that it is capable of an estimated lateral acceleration of up to 3 g and braking deceleration of 3 g.
2008 Mazda RX8 race car built by Mazdaspeed at the 2010 New York Auto Show.